Since many are off on holidays, this party will be open for the next 2 weeks, so there’s plenty of time to share all your great learning posts. If you have preschool to Grade 1 child, you might enjoy the free printable from PK1 Homeschool Fun. A fun way to help encourage kids to practice their writing skills. I know my 5 year old can print, but I have to find fun ways for her to do so, or she’s just not that interested. If you’re in the same boat, you might want to try the Pen Pal Printable. Melanie T. Diona Melanie B. Happy New Year, Melanie! 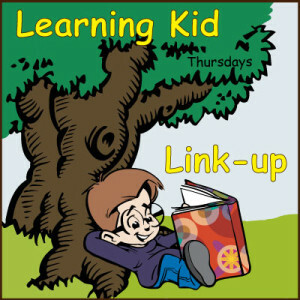 Looking forward to more Learning Kid Linkup in the next year, but not as a host.